The actor surmises that growing up reading comic books and playing video games probably set him on a particular trajectory, but still, “the scene where the Wizard first transforms Billy into Shazam and he hears his voice for the first time—and it’s my voice! I couldn’t wait for that moment, I knew it was going to be so much fun.” Or, to act out the moments “when he sees his reflection for the first time, the whole montage of him learning what his powers are…” Levi adds. So, really, everything. Levi says that to play a boy in a grown man’s body was really about straddling the two sides of himself. “Kids don’t get bogged down with life the way adults do. They’re not dealing with 401ks or mortgages; they’re just going to school and thinking, ‘I really don’t wanna go to math right now.’ They haven’t built the catalogue of experiences in their journey to adult wisdom yet to understand why things are the way they are. Along with the wisdom of Solomon, the strength of Hercules, the endurance of Atlas, the power of Zeus, the fighting abilities of Achilles, and the speed of Mercury, “He’s also got the ability to wield lightning, which is very much in tune with his Zeusitude, if I can be so bold as to call it Zeusitude. I’m coining that phrase right now,” Levi quips. 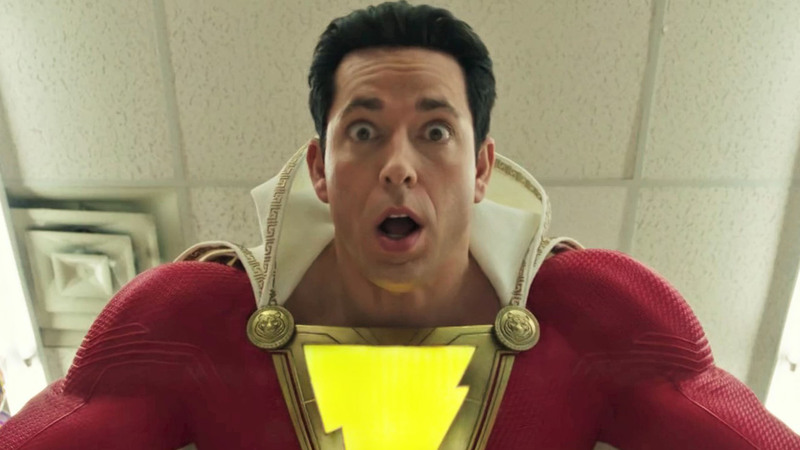 In PH cinemas April 3, “Shazam!” is a New Line Cinema production, and distributed by Warner Bros., a WarnerMedia Company.